Hand dyed SW Merino / Silk sock yarn for your most beautiful knitting and crocheting projects. This kettle-dyed, contrast splash yarn will add interest to your project, and the high silk content results in a beautiful sheen with next to the skin softness. 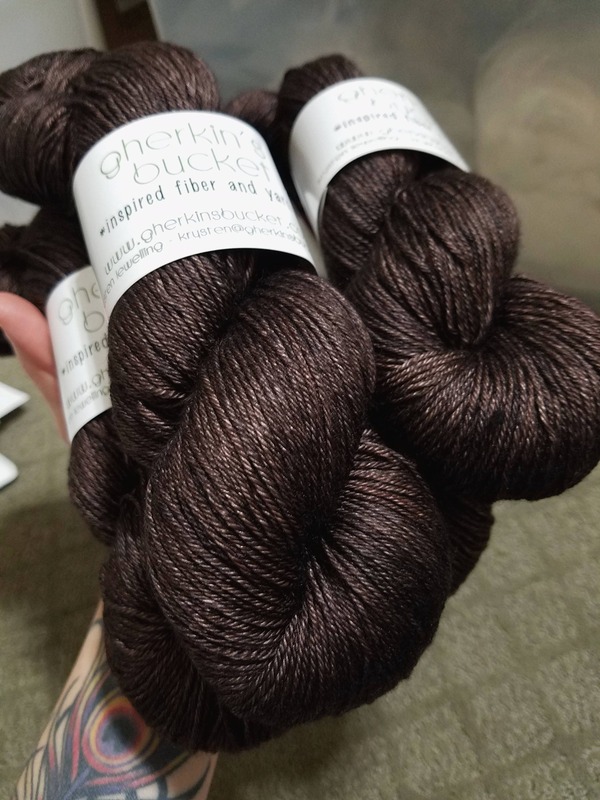 Bittersweet is a decadently rich, dark chocolate brown, with lighter and darker concentrations of color gently shifting throughout. This yarn base is very soft with a gorgeous sheen, and may be gently machine washed - however I always recommend hand washing your precious hand-crafted goods!